The question, how to improve my / your teaching skills and techniques, has a multi-part answer. I have included several articles in the left hand column to start you in the right direction, but the complete answer takes a little more explanation. How to improve my your teaching skills techniques Tip: Teaching is not solely about filling your listeners’ minds with information; it's also about helping them apply it to their lives. In short, teaching is not solely about filling your listeners’ minds with information. It is also about helping them apply that information to their lives. 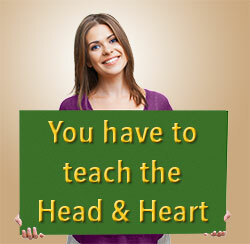 Or, another way of saying it is effective teaching must transform your listeners’ head AND heart. They must first understand it in their head, but if that information is going to benefit them, they must also accept it as true in their inner self (e.g., heart) so they can apply it to their life. In chapter one of Teaching To Transform Not Inform 1, I share how easy it is to incorporate into our teaching the wonderfully modeled teaching goals and methodologies used within the public school system. Incorporating these teaching principles into your own teaching will certainly help you develop into a highly effective communicator who is able to clearly explain the lesson. However, one nagging question remains: Even though these principles and techniques will help you become a better informational teacher, are they all that is needed to develop into a highly effective transformational teacher? If you want to know how to improve your teaching skills related to teaching the head and heart, what else is needed? If people don’t apply the truths and principles you teach, would you consider yourself to be an effective teacher? In Teaching To Transform Not Inform 1, we look at the difficulty of integrating truths and principles into people’s lives. We show how it is relatively easy to help them cognitively understand what is being said. However, it is far more difficult to help them move that information from their cognitive understanding to their closely guarded list of beliefs, choices, attitudes, opinions, prejudices, views, values, priorities, hopes, dreams, and commitments. After your students cognitively understand what you are saying and how its truth can be applied, sometimes the truth stays right there in that cognitive area of their head unless you help them personally accept it and transfer it into their heart. 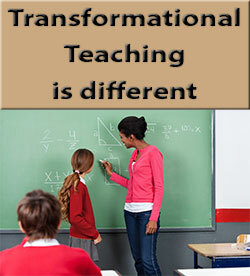 Teaching To Transform Not Inform 2 gives you a step-by-step methodology for doing this. If you want to know how to improve your teaching, learning how to teach the head and heart is the quickest, most significant improvement you can make. 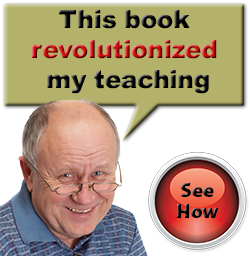 If you want to learn how to improve your teaching skills that relate to helping your students apply your lessons to their lives, you will need a few additional teaching techniques and methodologies which is where the Teaching To Transform Not Inform series can help. To find out more, read the additional articles in the left hand column or obtain a complete, step-by-step answer in the Teaching To Transform Not Inform series. Your most powerful teaching tool!